Solid copper inner, nice tight fit secured strong contact point. 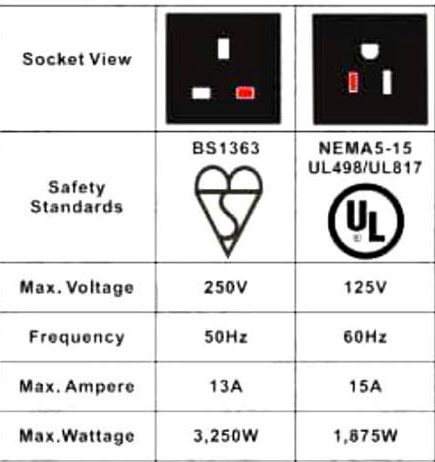 UK BS1363 fused plug to USA NEMA 5-15R. 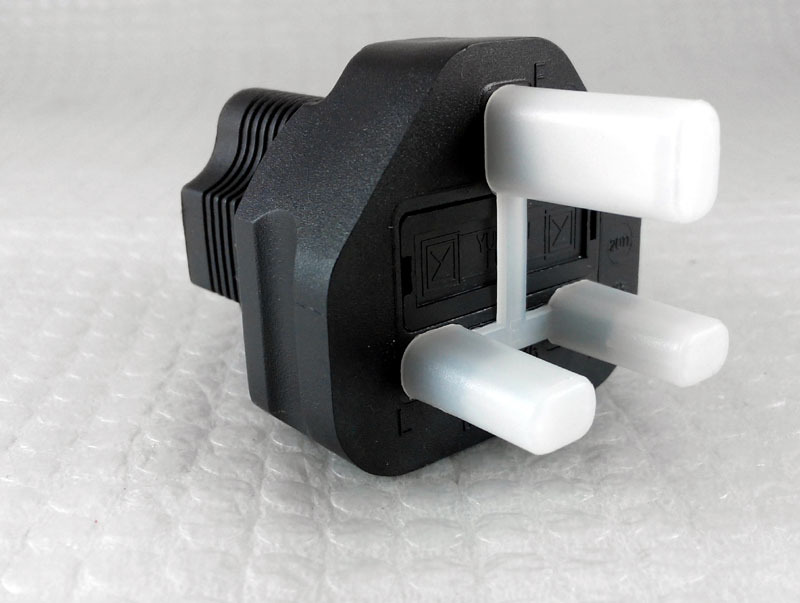 Plug your American device into the standard UK wall outlet with the correct phase polarity. 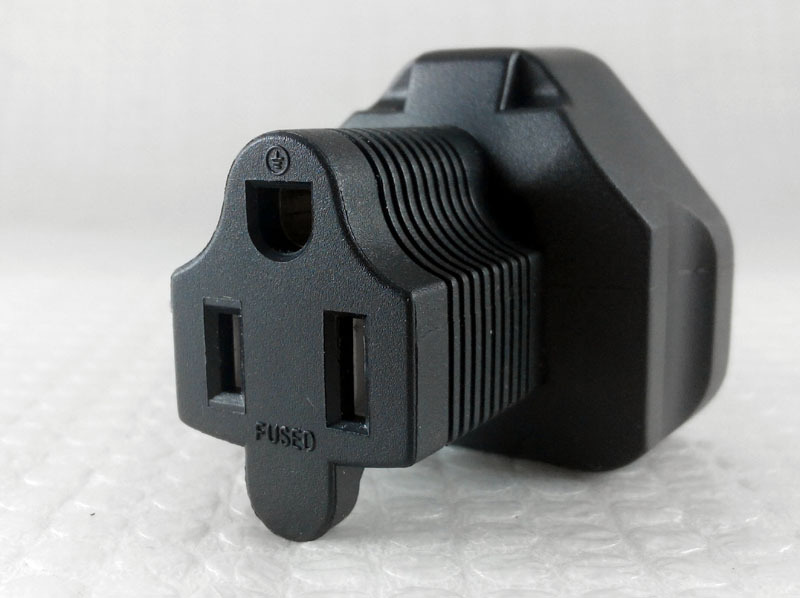 Convert the US plugs perfectly, the correct Live pin should be on the LEFT (with Ground pin on top) on USA plug. Why 13A higher wattage? I thought 15A should be higher wattage what? andlee2k wrote: Why 13A higher wattage? I thought 15A should be higher wattage what? O.. standard 240V is 13A, and 125V is 15A. "It was a simple matter of listening to the system with the live and neutral reversed and then switching the live and neutral wires on the Furutech power cord’s US plug connected to the wall socket to correct the polarity. There are differences - with reversed polarity, the soundstage becomes narrower, the images are diffused, there is less transparency and the bass is softer. With polarity corrected, the soundstage widens, the images are more ‘solid’ and have more ‘body’, transparency improves and the bass sounds stronger. 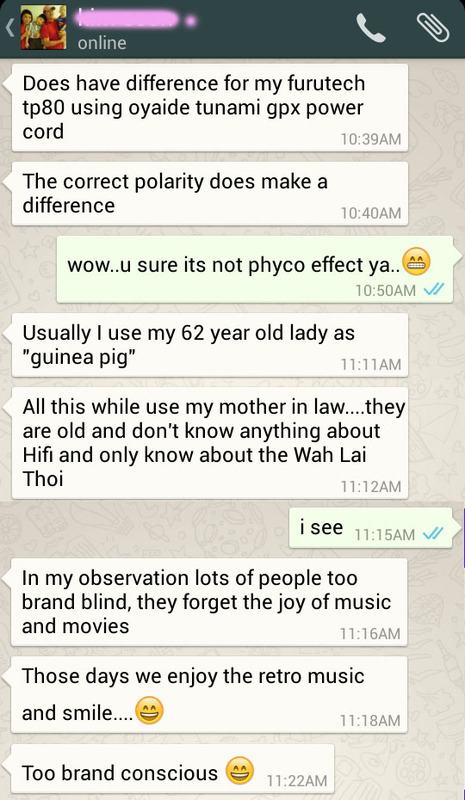 After a few songs I was convinced that polarity matters. Reversed polarity may not affect other electrical components like fridges and kettles, but for stereo systems, it is a major degrading factor. 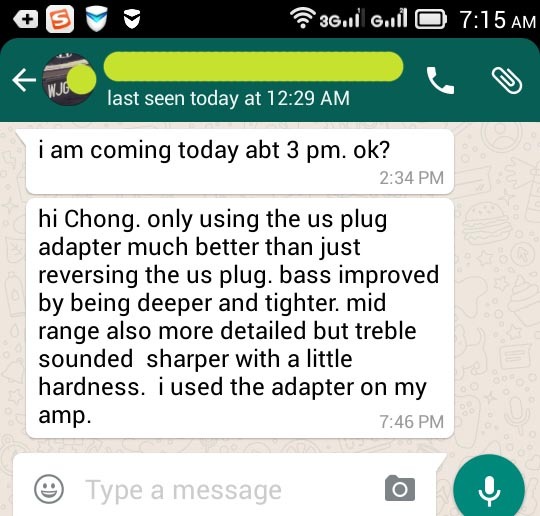 So, audiophiles in Malaysia (and other ex-British colonies using the BS 1363 standard) must ensure that polarity is correct when using power cords with US plugs." Ready stock now..!! We apologies for those who came for it during KLIAV show when it was out of stock.. sorry for the inconvenience caused..
Guys... item has been out of stock till next week. I apologies for the inconvenience caused.. Truly sorry for those who came for it. USA plug has reversed polarity of neutral and live. A customer used to connect US plug reserved in the above way, with the ground exposed. After bought the adapter now for his hifi system, there seems improvement sonically. For the US power cord, especially those factory terminated US plug power cables. Item still on sale. Price stays same. 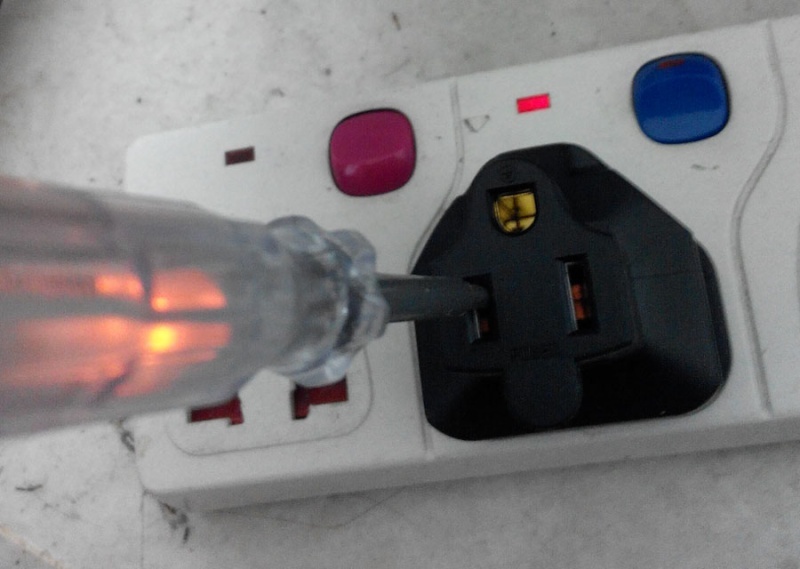 It turns your US plug cable to correct polarity usable in Malaysia (UK Standard).